Action Man returns again! - Page 2- BLOOD FOR THE BARON!!! In a bit of news that I personally file under the heading, "Completely from left field.". 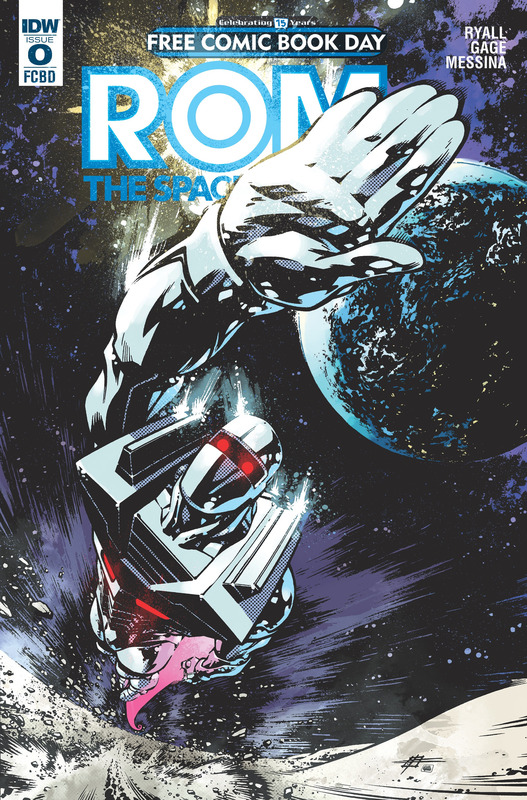 As some may know IDW is planning on relaunching ROM:Spacknight. Starting off with a Free Comic Book Day Zero Issue. Just today a preview was released for the FCBD issue, along with the solicitation. Which unknown to me, will also contain a back up story involving the one and only Action Man himself, Which also is the prelude to IDW's ACTION MAN comic hitting the comic shops in June. Jesus, I'll be down the local comic store for that with bells on for free comic book day. Solicit for the June release of the first issue of the IDW launch of ACTION MAN. Reminder, Free Comic Book Day this weekend, SATURDAY MAY 7. Your target. How do I get that????? Get along to a comic store, Paul. Easy as that. None of those in Dundee. Nearest one is Glasgow. Forbidden planet might have it.